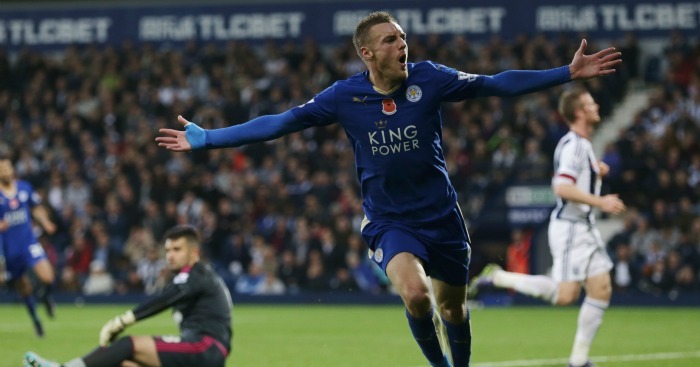 TEAMtalk takes a look at the 11 games that have earned Leicester striker Jamie Vardy a place in Premier League history. Vardy’s goal means he has beaten Ruud van Nistelrooy’s record of scoring in 10 consecutive fixtures, set by the Dutchman in 2003 while at United. 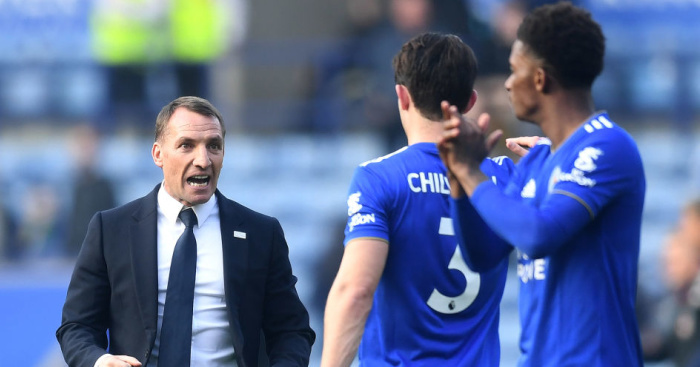 It all started with an 86th-minute penalty to earn Leicester a point on the south coast. Vardy’s mazy run towards goal was halted when he was hauled down by Steve Cook inside the area and the striker picked himself up to score from the spot. It looked like Vardy had earned Leicester another point with a late goal when he arrived in the box to poke home Danny Drinkwater’s low cross after 82 minutes to bring the Foxes level after being two goals down, but Claudio Ranieri’s side then dramatically went on to win a thrilling derby. 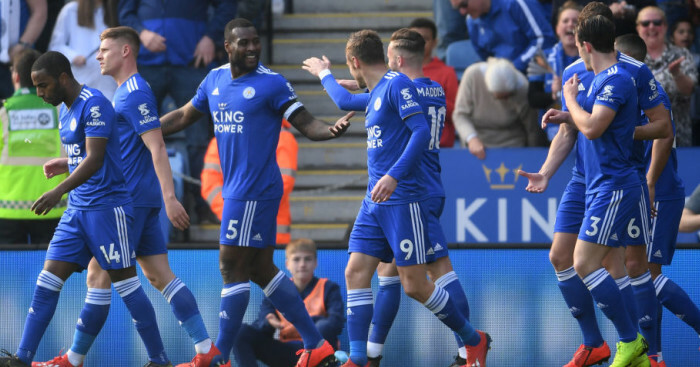 For the second weekend running Leicester found themselves two goals behind but they got back into the game and Vardy earned his team a draw midway through the second half, holding off Erik Pieters and scuffing a shot beyond Jack Butland. 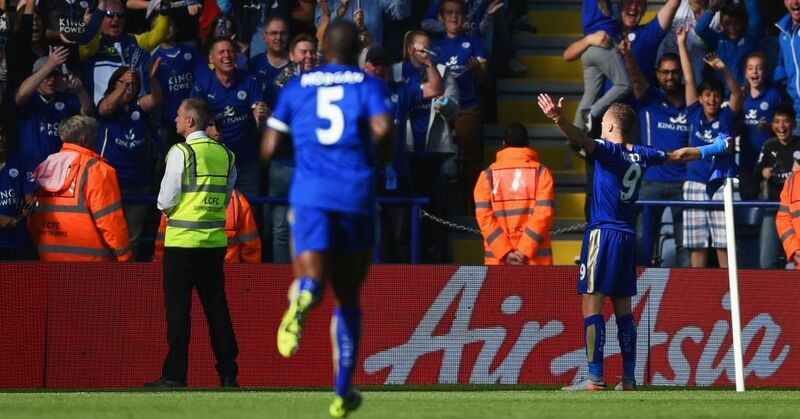 Vardy scored twice but Leicester’s unbeaten start to the season came to an end. His first goal was arguably his best of the campaign as the Foxes hit Arsenal with a devastating counter-attack to open the scoring. Drinkwater spotted Vardy sprinting clear down the left and launched the ball to the speedy striker who cut into the penalty area and curled a clinical finish past Petr Cech. He grabbed his sixth goal of the season late on with another perfectly placed curling effort after Cech had denied Andrej Kramaric. Vardy set Leicester on course for a return to winning ways from the penalty spot. He went down under the challenge of Sebastien Bassong before converting from 12 yards out. Another Foxes fightback from two goals down and another double for Vardy. After heading home a Nathan Dyer cross midway through the second half, he latched on to a Riyad Mahrez through-ball and confidently fired a shot into the top right-hand corner of the net in stoppage time. 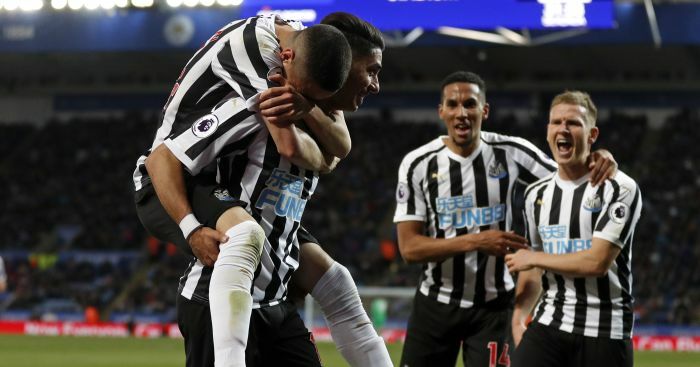 After a loose defensive header, Brede Hangeland then mis-hit a clearance straight to Mahrez, who sent Vardy racing through on goal for a lovely lofted finish over advancing goalkeeper Wayne Hennessey. His 10th goal of the season saw Vardy hit the back of the net for the seventh successive Premier League fixture, adding his name to an elite group which includes Van Nistelrooy, Daniel Sturridge, Mark Stein, Ian Wright, Alan Shearer, Thierry Henry and Emmanuel Adebayor. Vardy raced on to Drinkwater’s defence-splitting pass before blasting the ball past Boaz Myhill to put Leicester 3-1 up and join just Van Nistelrooy and Sturridge as the only players to score in eight or more consecutive Premier League matches. Vardy stood alone as the only Englishman to score in nine successive Premier League games after netting his 12th goal of the season from the penalty spot. 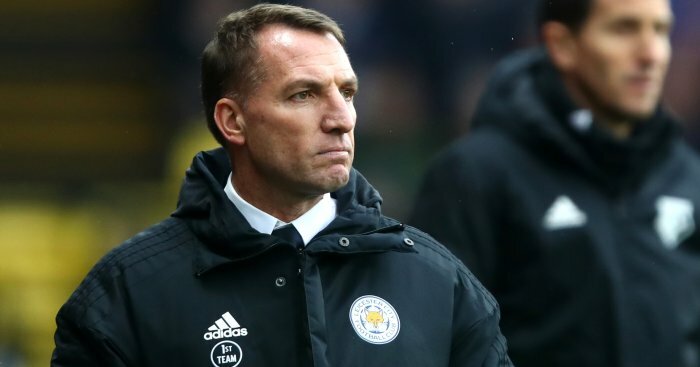 After Vardy was brought down by Heurelho Gomes, Mahrez, Leicester’s usual penalty taker, was going to take the spot-kick but the Algerian handed the ball to Vardy and he blasted his shot straight down the middle and into the net. Vardy joined Van Nistelrooy in scoring in 10 Premier League fixtures in a row after exchanging passes with Leonardo Ulloa and firing home at the near post for the opening goal. For Vardy to beat the record, he had to score against the Dutchman’s old club Manchester United. Vardy timed his run to perfection to latch on to a great pass from Christian Fuchs. One touch gave him enough space to fire the ball past David de Gea.